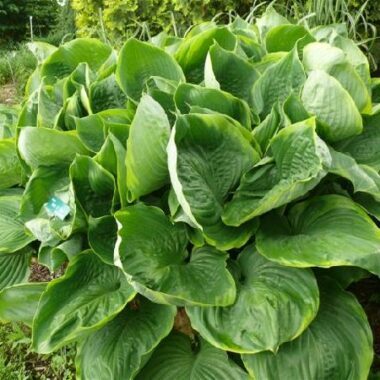 Large: 25″ high x 66 wide mound of heavily corrugated, blue-green foliage; leaves 15″ long by 10 1/2″ wide (16-17 vp); leaf color a deep blue-green, turning deep green by late summer; leaves also broadly ovate in shape with some cupping; intense corrugation and thick substance. 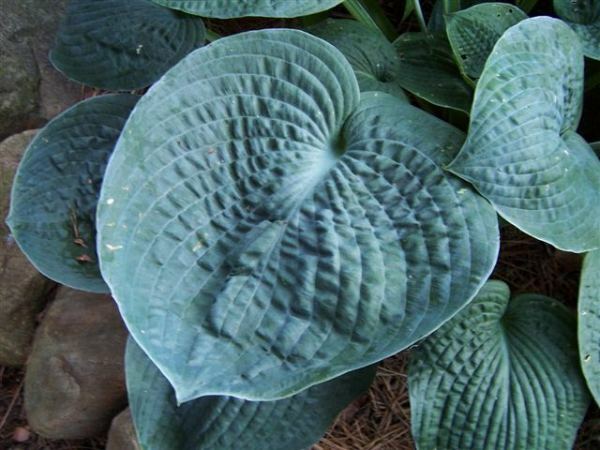 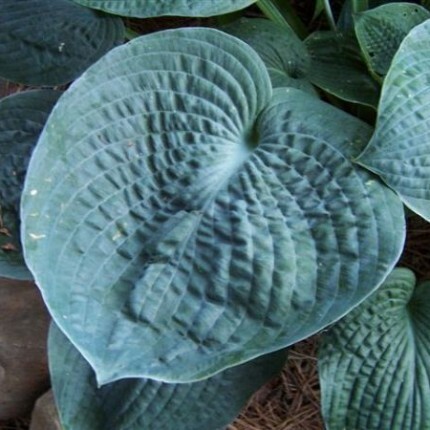 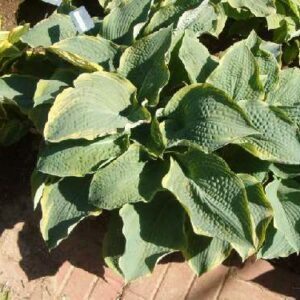 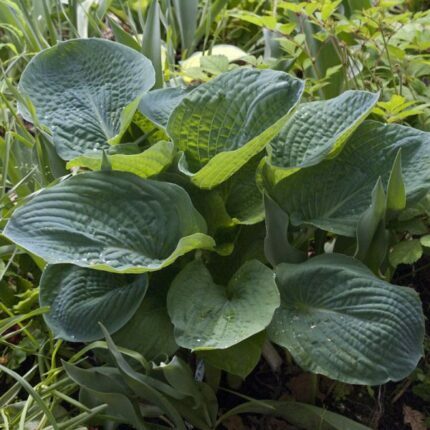 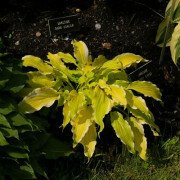 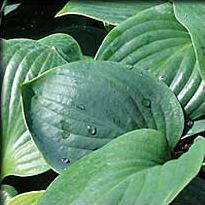 Big Daddy Hosta – Large blue specimen for the garden. 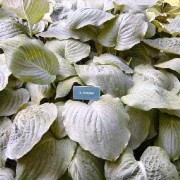 Chalky-blue leaves that are rounded, cupped and highly corrugated at maturity. 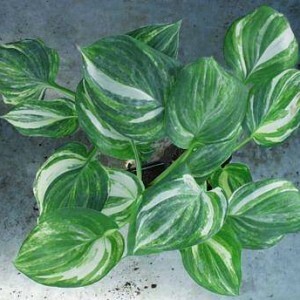 Has a compact growing habit. 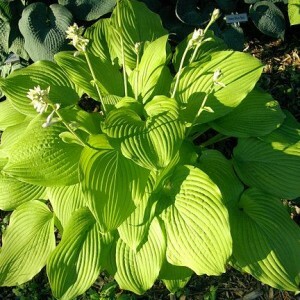 Near white flowers in July and August. 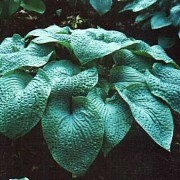 Slug resistant.